Home > No. Not Yet. Never. To help Harvard students cope with career rebuffs, the Bureau of Study Counsel hosted a seminar on April 15 called “Reﬂections on Rejection.” About 20 listeners showed up, including several seniors rejected for all jobs they had applied for. 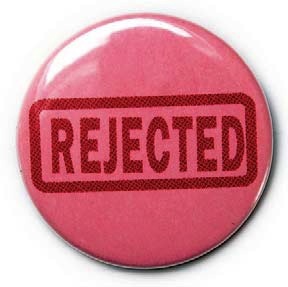 They got buttons stamped “Rejected”; a booklet of 28 failure stories by alumni, faculty, or staff; and 90 minutes of encouragement from a panel of rejection survivors. One booklet contributor, Hunter Maats ’04, told of being an aspiring actor in Los Angeles and applying for a job as barista in a Starbucks. He was rejected for being overqualiﬁed. His response was healthy: he reconsidered his priorities and launched a tutoring company called Overqualiﬁed. Our Man in Kabul: When Daniel H. H. Ingalls ’36, A.M. ’38, JF ’49, graduated from Harvard College, he would go to Virginia, his father evidently expected, to help run the family business, the Homestead, an historic resort and spa in Hot Springs. The young man rejected that plan. He enrolled in the Graduate School to study Sanskrit, Chinese, and Japanese, and was elected a junior fellow in the Society of Fellows. Ingalls returned to Harvard, joined the faculty, and stayed until his retirement in 1983. Then he went to Virginia and took up full-time management of the Homestead.